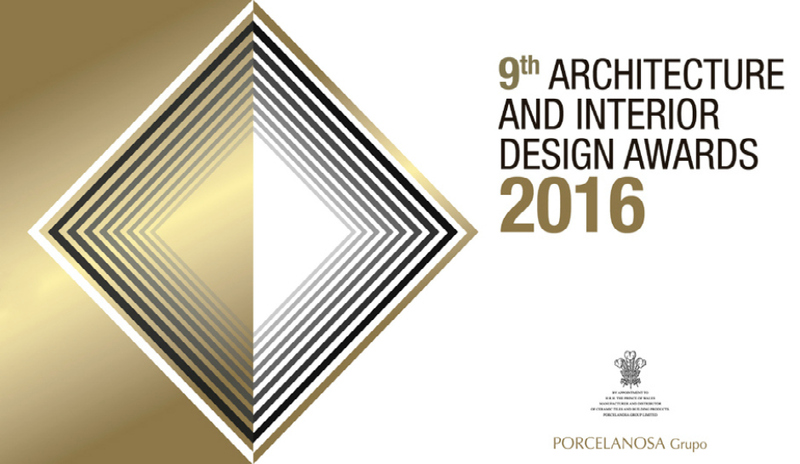 Porcelanosa prepares for their ninth annual Architecture & Interior Design Awards, taking place on May 11th in Madrid, Spain. The Porcelanosa Architecture & Interior Design awards is an event that celebrates creativity and the role that architecture and interior design professionals play in shaping today’s industry. The key objectives of the event are to work closely with the institutions that share close ties with architecture and interior design for their promotion, development and regulation around the world; To continue working to improve the international image of a sector that still has a vast capacity for growth and evolution due to its vast potential, and to showcase and promote new values in the fields of architecture and interior design. The annual event is also a competition where Porcelanosa honors the best use of their materials in projects throughout the world. There competition is divided into two categories including ‘Future Projects’ and ‘Completed Projects’ and this year’s panel of judges includes Daniel Libeskind, Francesc Rifé, Lázaro Rosa-Violán, Mark Fenwick, Rafael de La-Hoz, Clodagh, Joaquín Torres, Teresa Sapey, Fran Silvestre, Carlos Lamela, Hembert Peñaranda, Taba Rasti, Pascua Ortega and Benedetta Tagliabue. Click here for more information or to register your project!